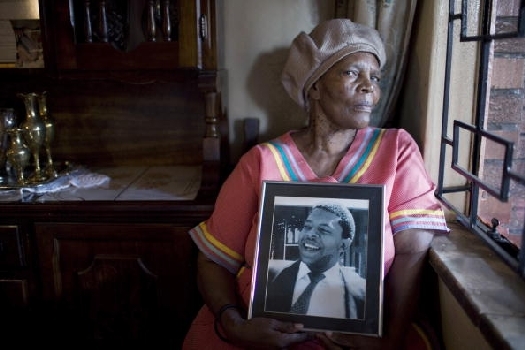 Years after the Truth and Reconciliation Commission issued its final recommendations, victims of apartheid-era crimes are still fighting for adequate reparation and rehabilitation. Will the government of South Africa listen? More than 40 years of apartheid in South Africa cast a long shadow of human rights violations, including massacres, torture, lengthy imprisonment of activists, and crippling racial discrimination. Despite the groundbreaking work of the Truth and Reconciliation Commission (TRC) in the 1990s, progress has been slow. Most efforts to achieve accountability for crimes committed during apartheid have failed, and to date, the government of South Africa has ignored the TRC’s recommendations on rehabilitation and reparations for victims. As a result, many survivors lack the means to deal with material and psychological consequences of apartheid violence, and must face enormous hurdles to have their demands heard. In the latest episode of ICTJ’s podcast, we speak with ICTJ Senior Program Adviser Howard Varney, a practicing advocate at the Johannesburg Bar, who worked with the South African Truth and Reconciliation Commission and continues to represent victims of past conflicts in the courts of South Africa to vindicate their rights. In this interview with ICTJ's Hannah Dunphy, he explains why the vast majority of victims still await justice, and warns that the ongoing struggle for adequate reparation and true accountability should serve as a reminder that the true success of South Africa’s transition to justice remains to be seen. The TRC facilitated South Africa’s transition by launching an investigation into racially and politically motivated human rights violations committed between 1960 and 1994. The TRC became an example for other countries aiming to transition out of times of intense political crisis or severe repression. It was particularly successful in involving the South African and world public in its proceedings through film and media, and its achievements are celebrated around the world, making other states eager to replicate its model. Varney explains that the international community is not aware of the extent to which the government’s promises to victims have not been kept. “I often say that it was the journey, rather than the end where the South African exercise was a successful one,” he said. When South Africa’s transition was negotiated, a “truth-for-amnesty” granted to those who confessed their crimes. Victims had to accept that in cases where amnesty was afforded, they would lose out on the possibilities of not just criminal justice, but on claiming damages or compensation through the civil courts. Instead, it was decided that reparations would be provided to victims by the government. But so far, victims have only received a one-time payment, paid to every person formally registered as a victim by the TRC. These reparations have not found favor with victims because they fail to reflect the varying degrees of harm suffered during apartheid and the scale of ongoing hardship due to these violations. No efforts have been made to undertake a comprehensive assessment of the needs of victims. Moreover, many victims continue to be left out of reparative justice measures altogether: the official list of those the TRC has registered as victims is now closed, leaving behind thousands of others who were not able to register. In the absence of recognition by the state, victims are denied potential redress. Victims’ groups, in particular the Khulumani Victims Support Group, have been campaigning for more adequate and reasonable reparations, and the re-opening of the registration process. “So far, that plea has fallen on deaf ears,” said Varney. As a result of this effort, ICTJ and other organizations in South Africa formed the South African Coalition for Transitional Justice. Recently, the coalition held a national dialogue on reparations, at which another call was made to the government to listen to the pleas of victims. The event, “National Dialogue on Reparations: A Critical Tool in Dealing with our Past and Building our Future,” was held in December in Pretoria. In the absence of recognition by the state, victims are denied potential redress. Hundreds of victims and survivors of apartheid violence were in attendance, as well as policy makers, religious leaders, and civil society organizations. The event aimed to develop a strategy for achieving adequate reparations in the future, a goal that, according to Varney, demands the attention and support of an international public eager to see a positive legacy of the TRC. The coalition hopes that the government will take meaningful steps to redress the wrongs that so many have suffered, to engage in an open registration process, to properly assess the needs of victims, and to set aside sufficient funds to issue adequate reparations. Learn more about ICTJ's Reparative Justice program and our work in South Africa.